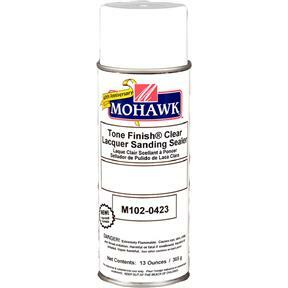 One of the most versatile products used in furniture touchups; fills in and levels surface scratches and burn-in repairs. This improved formula gives increased clarity, flow, and blush resistance. It is also fast drying, allows for easy sanding, and has high solids for rapid buildup. Seals in stains prior to final topcoat of finish for faster build up. 40 Sheen. Net weight: 13 oz.